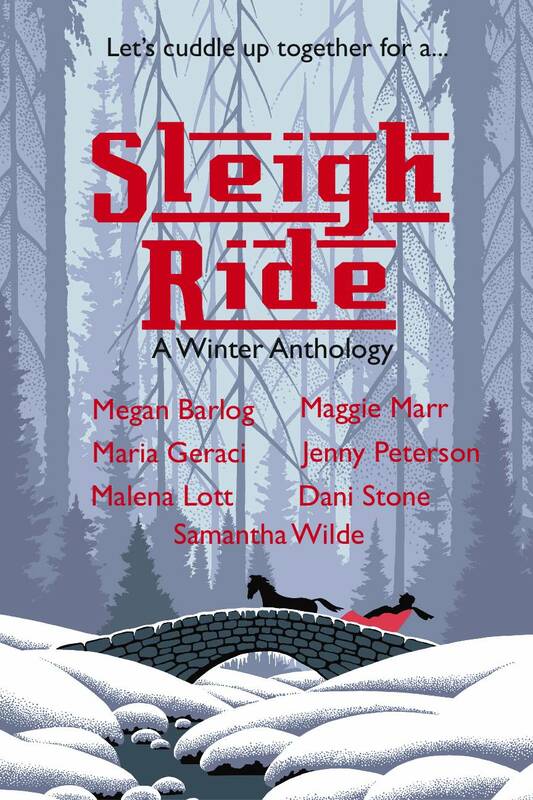 "Sleigh Ride: A Winter Anthology" consists of seven short stories from both new and well-established authors such as Malena Lott, Maggie Marr and Maria Geraci. 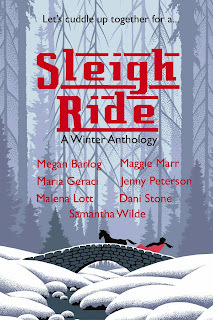 A common thread throughout the stories is that each features a sleigh ride and a wintery tale. I love winter and Christmas time so felt excited to read this. I enjoyed each of the stories, some more than others, but still I enjoyed each one. Initially I thought the stories might be a bit lighter than they were but most of the key characters are experiencing loss in some shape or form, be it concerning a relationship breakdown (partner or family) or bereavement. So the stories were dealing with very real and heartfelt issues yet each was ultimately positive and uplifting. The stories were well-written. I loved some of the similies used such as ‘snow was like an alligator dressed up in a kitten costume’ (Maggie Marr). They really added to the stories and I’d never seen many of these used before. I particularly enjoyed Malena Lott’s ‘Snowflakes and Stones’ story about a separated couple, Moira and Grayson. I don’t want to give anything away but this story was so moving, I enjoyed that it was suggestive rather than explicit and kept the reader guessing. I’d be interested in reading an extended version of this. This is an ideal buy if you enjoy short stories and are looking for quick reads you can pick up and put down without losing where you are. On evenings when I felt tired and the thought of a long novel that I wasn’t yet into was too much I picked up my kindle and enjoyed one of these stories; these wintery tales definitely made me appreciate the warmth of my bed! The length of the stories was just right for me, not too short that you don’t form a connection, not too long, just right. With some of the proceeds of this collection going to a domestic violence prevention cause it’s a purchase you can both enjoy and feel good about. If you live in the US or Canada, you have a chance to win this book! Malena Lott is also here to share a holiday beverage recipe with us. Enter until December 6th. Thanks, Becky! What a lovely review. I appreciate it! Great review. I love Christmas and reading snowy tales (though no longer a fan of actaul snow!0. Thank you for the review and I am so happy you enjoyed the stories. This was a very fun project on which to work. Also, Malena did a brilliant job of getting the whole thing together.